I’ve always wanted to be an astronaut. Ever since I can remember, I’ve wanted to go in to space, just like Neil Armstrong, or Flash Gordon, or Dan Dare. I still want to go into space. I always will. I’ve been working on these posters for a while, they are the first two of a set of four to celebrate the Apollo missions of the late 60s and early 70s. 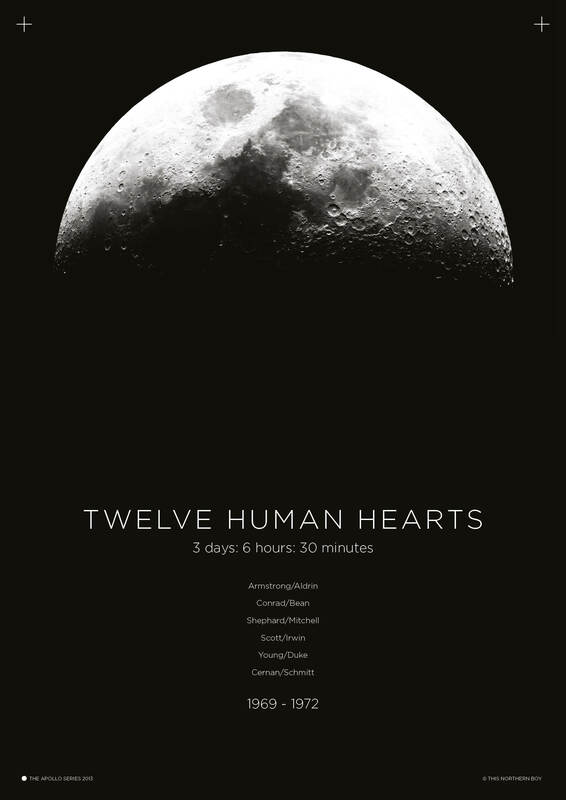 The first poster names all twelve astronauts to land on the moon, as well as the combined time spent on the moon. 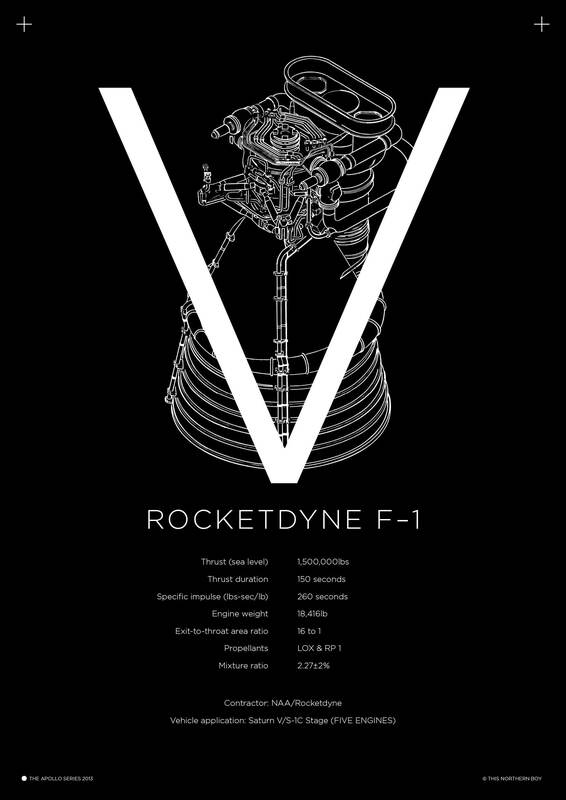 The second poster features the F-1 rocket engine, five of which powered the Saturn V rocket.